How does what’s going on the inside affect what happens on the outside? As I’m sure you’re already aware, as humans on this planet we live in two worlds that the same time. This duality is often the source of much struggle, frustration and pain for many, but when mastered can be a source of much joy. Whilst navigating our way through life in our external world we have many practical tasks to juggle, from earning a living to caring for our families and a whole bunch of other priorities, and it’s easy to lose connection with our true heart and soul in the midst of the many competing priorities. On the inside, in the inner world of our mind, our experience is often similar with many different voices expressing their views and wanting ‘air-time’. Some louder than others and some so quiet, yet constant, that they dramatically influence our lives without us realising. So it’s no wonder that so many people’s true spirit, hope and dreams get lost. How do we learn to navigate in today’s increasing fast moving and complex world? There is an undeniable relationship between our inner and outer worlds. Each influences the other and I believe that mastering this relationship and balance is the key to true peace, joy and happiness in both worlds. This mastery begins by working with the aspect in this relationship that we are able to influence and control – our inner world. In my experience this is the key to success. Our external experience in this world often calls and draws us to focus externally, and work towards external goals, and there is absolutely nothing wrong with that – in fact it is an essential part of our human experience. What I really want you to learn and understand is that success in our outer or external world begins inside. Everything that happens on the inside affects and impacts our outer world significantly, and often in ways that we are unable to see. It’s a bit like an invisible ripple effect – but let me assure you it is there. One simple way to think about this relationship is to view your inner world a bit like a bus or a coach. The seats on the bus are all filled with different versions of you, or different selves. I’m sure you’ve noticed that you spend much of your day having ‘inner conversations’. Your inner world is populated by many different selves or voices, each a different part of the whole you. These different selves encompass both the dark and the light – the good, the bad and the ugly aspects of who you are. The mastery is all about who’s in the driving seat. 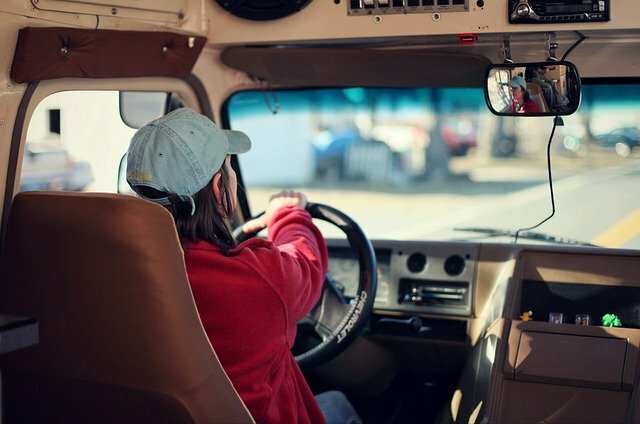 Who is driving your bus right now as you read this article? Is it the critic, the judge, the optimist, the dreamer? Take a moment now to reflect back to times in your life when things we’re either going really well, or way off track, and notice which ‘you’ was driving the bus at those times. So given the significant impact the driver has on both your direction in life, and what the ride is like, I’d like to share a powerful technique with you that you can use to access your best selves. I call them your ‘Champions’. They are the aspects of you that are the most powerful in a positive way, most closely aligned to your true heart and spirit, and as a result most likely to get you where you want to go. Imagine a cube with 6 faces. This cube represents your whole self and each face shows an aspect of you at your best – your best selves or champions. Take some quiet time where you able to reflect without interruption and think about who you are at your best. What are the different ways in which your most powerful self is expressed in the world? What are the different strengths, traits and characteristics of each? Describe them as if they were characters in book or a movie. Make them as real, alive and visceral as you can. You’ll know when you’ve got them right as you will feel an energy and power in your body that really brings you to life. You don’t have to come up with 6, but do try and come up with at least 3 or 4. As you explore this exercise, make sure you capture the full range of who you are at your best so that you have a full cast of characters and not several that are all very similar. There will of course be crossover, as they are all parts of you. Once you have described each of your characters the next step is to find a name for each that captures their essence and enables you to connect with them instantly. You can any name you wish – it might be something that describes their essence, like the Hero or the Rebel, or an archetypal character like Amazon Warrior or Oracle, or something more personal to you. You get to choose. This name gives you a way to tap into these powerful aspects of yourself at any time and can put them in the driving seat to champion your cause and move powerfully towards your hopes and dreams. This will require practice as it’s easy to become distracted and get knocked of course and end up with someone else in the driving seat. So take the time to connect with these powerful aspects of yourself and get to know them better so that you can access them in more difficult times when life has a habit of getting in the way. This is not role-play. Your champions are not an act. They are the real, authentic, powerful you. Your heart, soul and essence expressed. When you connect with any of them it will feel like you’ve just plugged yourself in to the mains and are fully juiced. They are your ultimate inner optimists! “Our deepest fear is not that we are inadequate. Our deepest fear is that we are powerful beyond measure. It is our light, not our darkness, that most frightens us”. Your playing small doesn’t serve the world – you are unique and special, so don’t hide it! Let your champions drive, tap into your power, and go out into the world and live untamed and unafraid.